Manager Willie Kirk has reunited with former Hibernian FC player Claire Emslie who joins Bristol City Women from Florida Atlantic University. The Scottish born player has shown great promise from a young age representing her national team at U15, U17 and U19 level as well as the senior squad in 2013. Emslie started her football career in Edinburgh with Hibernian FC where she played under current City Women Manager, Willie Kirk. The 22-year-old said: “I worked with Willie until I was 15 when he brought me into the Hibs first team. I am really excited to be working with him again”. Manager, Willie Kirk added: “She is focused on her own development and a great character in the changing rooms. She will bring a lot to the squad”. Claire has been in America since 2012, studying and playing football at Florida Atlantic University. “When I first went to Florida I was a midfielder but they converted me to a forward. I managed to beat the all-time goal scoring record there and in my final year I was awarded Student Athlete Of The Year, which I am very proud of”. 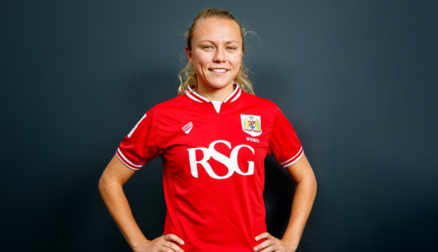 The forward has been training with the rest of the Bristol City Women Squad for the past week and Willie Kirk is pleased with how she is settling in: “It is as if she has been here for months and the girls have taken to her really quickly”. He added: “She will be in contention for the Oxford United game”. Emslie is looking forward to a new challenge in Bristol: “I have matured as a player over the past few years and I am happy to be here in Bristol to compete for promotion”. 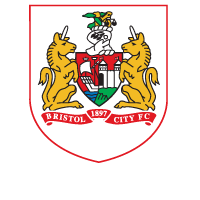 Bristol City play Oxford United at the Stoke Gifford Stadium on Saturday, June 25th, kick-off at 6pm.